The island nation of Sri Lanka is located in the Indian Ocean, south of India. It is well known for its beautiful landscapes, which vary from sandy beaches to green rainforests, and the range of wildlife found within these lands includes everything from monkeys to leopards to elephants. 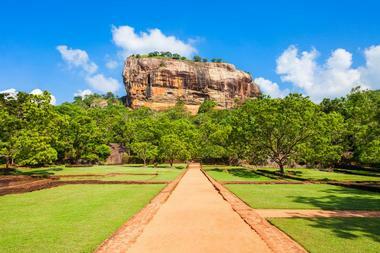 Visitors to Sri Lanka will enjoy exploring some of the most spectacularly beautiful ruins in the world, including the famous fortress of Sigiriya, located at the top of a rocky mountain. 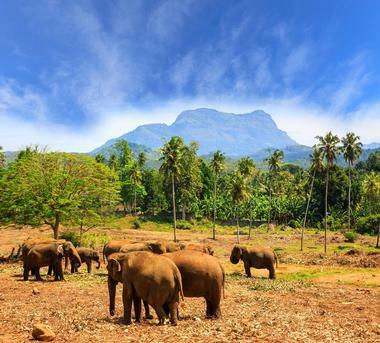 Whether interacting with Asian elephants at the Pinnawala Elephant Orphanage or exploring prehistoric history at Fa Hien Cave, Sri Lanka is full of activities and wonders for travelers of every taste. Located in Ambalangoda, the Ariyapala Masks Museum celebrates the traditional craft of mask making, which has been in the museum’s founding Wijesuriya family for generations. The traditional mask of Sri Lanka was once used when performing the Sanni Yakuma, or Devil Dance, and other traditional performances. The carved wooden masks are created, formed into elaborate faces and expressions, colorfully painted, and made to emulate traditional tales and stories. 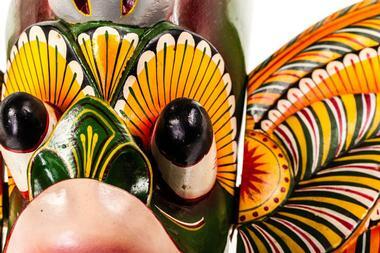 At the Mask Museum and Workshop, visitors can see hundreds of these carved masks and learn about their historical usage in traditional Sri Lankan culture. This beautiful cemetery, established during the 19th century, is the final resting place for many residents of Colombo, Sri Lanka’s commercial capital city. The cemetery is also the place where famous science fiction writer Sir Arthur C. Clarke, author of 2001: A Space Odyssey, among others, is buried, and his grave is often visited by fans of his works. There are burial sections in the cemetery for a number of different faiths: Christianity, Buddhism, Hinduism, Islam, and more. The elaborately built mausoleums and temples make for a beautiful and eerie setting, one which is reportedly haunted by a number of restless spirits. 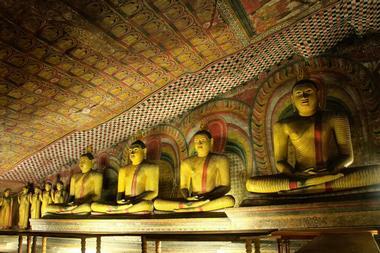 The Dambulla Cave Temple, also known as the Golden Temple, is a monastery located, as the name suggests, in a cave. Inside the system of five caverns, visitors will find a collection of more than 150 pieces of historic Buddhist art, from statues to paintings, all inside a beautiful, colorful temple built from the rock of the caves. This UNESCO World Heritage Site was first used as a Buddhist temple more than 2,000 years ago, and the art in the caves expanded and grew over the centuries to become the beautiful piece of religious art that it is today. For the majority of the 17th and 18th centuries, Sri Lanka was a colony ruled by the Dutch. 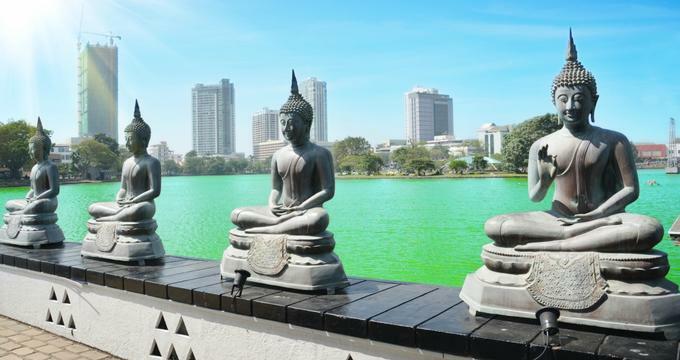 This museum, located in Colombo, explores the history behind the Dutch colonization of the country and the effect that it had upon the development of Sri Lankan culture. Situated in a historic building that was once the residence of the Dutch governor, and has since seen a variety of other uses, the Dutch Period Museum contains a collection of over 3,000 objects from the Dutch era and explains to its guests the history of these objects as well as of the country. 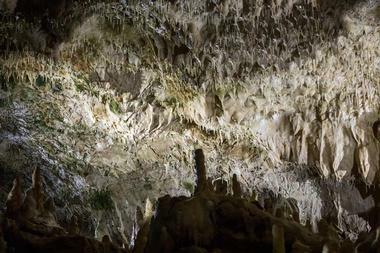 Fa Hien was a legendary Buddhist monk who supposedly lived in this remote cave for months. The rock that forms Fa Hien Cave, also called Pahiyangala Cave, is supposedly the largest natural rock in the entire continent of Asia, but that’s not its only claim to fame. During the 1960s, excavators found prehistoric human remains that date back about 37,000 years, and further research has evidence that the cave was used as a human dwelling during the Pleistocene period. In 2012, a complete human skeleton was found from around this period, with stone tools, beads, and weapons, and was deemed to be the oldest skeleton ever found in South Asia. Galle Fort was built during the 16th century by Portuguese settlers, and then much more heavily fortified and expanded by the Dutch during their period of Sri Lankan colonization. The unique combination of European architecture and South Asian traditions in the construction of this fort has made Galle Fort into a UNESCO World Heritage Site. 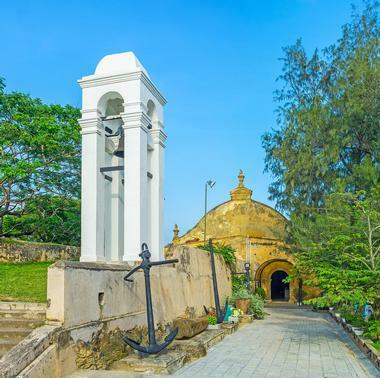 It is located in the place where Dutch settlers first landed in Sri Lanka, which was once one of the largest trading ports in the world. Visitors to the fort today will find it largely intact, with lots of evidence of all the countries that once controlled it, from the Portuguese moat to the Dutch drawbridge to the British gate area. Horton Plains National Park is most well known for its trail leading to World’s End, a plateau that drops suddenly for over 880 meters. From the edge, visitors will see a truly stunning view of the surrounding mountains, the valley below, and villages that are so far away that they look like they could be a home for ants. 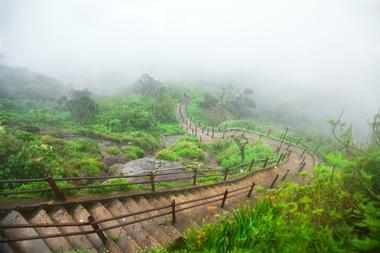 The best time to visit World’s End is early in the morning, as during the day the view is often obscured by a thick mist that covers the landscape in an ethereal, eerie way. 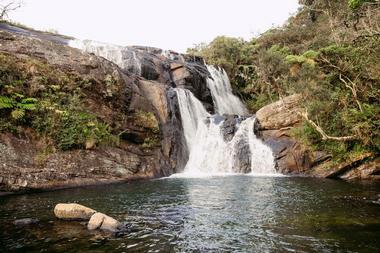 The hike to World’s End and back, a 9.5 km round trip, leads past some other beautiful parts of Horton Plains National Park, including grasslands, forests, and Baker’s Falls. 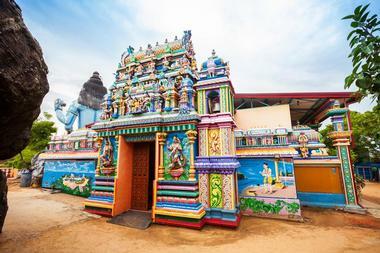 Located near the city of Trincomalee, at the edge of the Trincomalee Cliffs on the eastern coast of Sri Lanka, Koneswaram Temple sits surrounded by amazing 360-degree views of Koddiyar Bay and the cliffs. Construction of this beautiful temple, which is dedicated to the god Shiva, dates back to approximately 400 BC, and in its heyday it was a vast and glorious structure that was many times as large as what still stands today. During the 17th century, the Portuguese destroyed much of the temple, but worshippers and priests went to much effort to hide and bury some of their greatest treasures. Some of these have been recovered, and are on display in the temple for visitors. 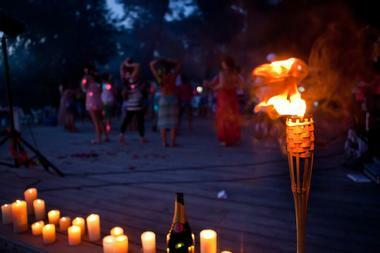 This villa, located in Buttala, is a 14-acre eco-resort that tourists can rent out for the duration of their stay. 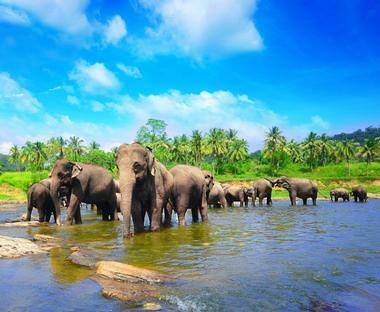 It is situated on the banks of the Kumbuk River, near the Yala Wildlife Sanctuary, where visitors can see beautiful scenery and impressive wildlife that includes bears and elephants. But the location isn’t the main draw for Kumbuk River Resort, the venue is. Guests here will stay in a two-story thatched villa that is shaped like a giant elephant. It’s fully equipped with modern comforts like electricity, indoor plumbing, and hot water, and groups of up to 12 people will find that the elephant villa is a unique and perfect experience for spending time together with friends and family. The National Art Gallery is located in the city of Colombo, next to the National Museum. It is situated within a small, unassuming building near the center of the city, and contains three main wings where visitors can view the art exhibitions. The main section of the gallery features a permanent collection of classical and contemporary portraits and landscapes, and the other two sections display pieces and exhibits created by local Sri Lankan artists on a rotating schedule. 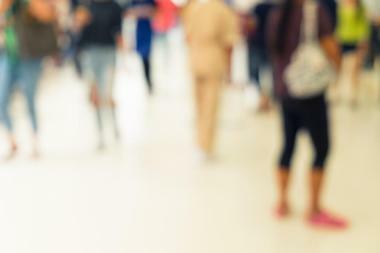 The National Art Gallery is open daily from 11am until 8pm. 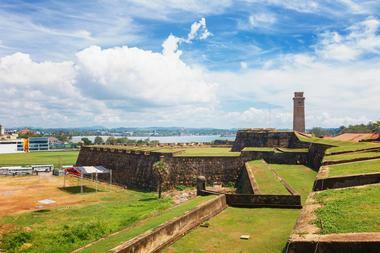 The 16th century Galle Fort was built by the Portuguese during their occupation of the island of Sri Lanka. It’s an incredible piece of history that already merits a place on this list, but in a historic warehouse near the fort is the National Maritime Museum, a place where visitors can learn about the history, biology, and anthropology of the region and coastal area. Unfortunately, during the tsunami of 2004, much of the Museum’s archaeological research was destroyed in the flooding, but the museum survived and only recently was re-opened to the public. Visitors to the museum can see examples of typical watercraft used in the region throughout history as well as specimens and displays of flora and fauna found in the seas surrounding Sri Lanka. 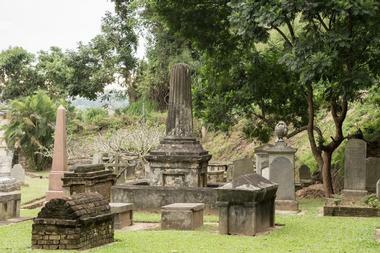 The ancient city of Polonnaruwa was the seat of Sri Lankan kings from as early as the 11th century. The palace was probably built during the 12th century, and historians believe it was once a grand two-story building made of bricks, stone, and wood. Today, all that remains are eight granite pillars, which once would have been used to hold up a roof or a second story. 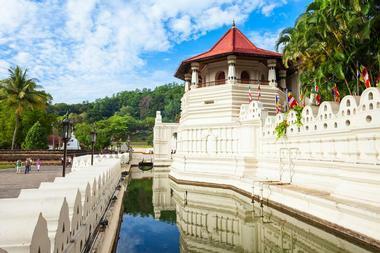 Visitors will notice the elaborate carving of the pillars in the shape of a lotus stem. The palace ruins also include the remains of a royal bathing pool and the ruins of a chamber that was meant for meetings of the king’s council. At the Pinnawala Elephant Orphanage, orphaned baby elephants are nursed and cared for until they reach an age where they are able to be released back into the wild. The elephant orphanage, which is located on a 25-acre park in Sri Lanka’s Sabaragamuwa Province, also cares for elephants of all ages that have been injured in the jungle. Visitors to the Pinnawala Elephant Orphanage can watch as the baby elephants are fed each day, and even stay to catch a peek of the elephants bathing in the nearby river. The park is open daily to visitors from 8:30am until 5:30pm. 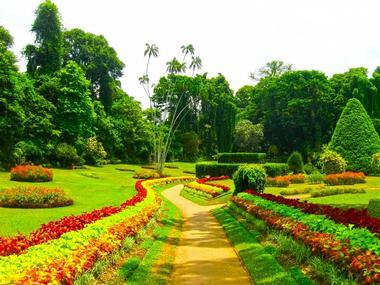 This expansive garden, located in the city of Kandy, features plants, trees, and flowers from all corners of the world, with collections of medicinal plants, plants that grow in specific environments, and even a hedge maze. The Royal Botanic Gardens are especially known for their collection of orchids, but visitors will also enjoy a walk through paths lined with swaying palms or a visit to the massive Javan fig tree, with a giant trunk and huge, ropelike branches, which extend above like an all-encompassing umbrella. The gardens are home not just to plants, but also to many species of birds, fruit bats, and monkeys. 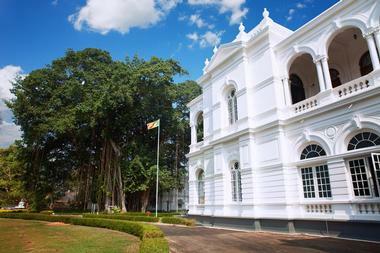 The rulers of the Sinhalese monarchy called this palace complex their home until 1815, when the last ruler, King Sri Vikrama Rajasinh, was cast out by the British. But the Royal Palace remains, and with it stand some of the other parts of the complex, including the King’s Palace, the Queen’s Palace, and the Temple of the Tooth. Many of these buildings are now museums of Buddhist history and national culture, and the palace is located in a large park that used to be part of the royal complex. There, visitors will find many peaceful and beautiful walking trails with lovely views of the city of Kandy and Bogambara Lake. 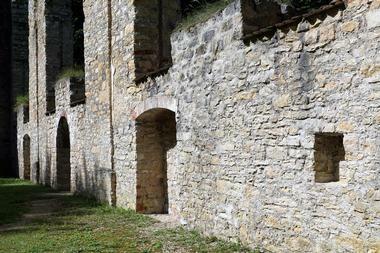 No one really knows exactly how old Saint Anthony’s Church and Cemetery is. Some say it was built by the Dutch during the 17th century, and others claim it dates back to 1900, when Sri Lanka was under British rule. 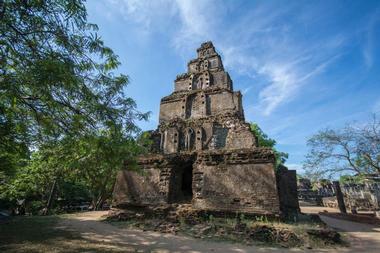 But the eerie ruins of this church, located near the town of Manalkadu, are simply stunning. Situated on a sandy beach, the walls and archways of what was once a beautiful building are sinking into the sand, so what is left looks like a scene from a science fiction movie. Visitors will find that Saint Anthony’s Church and Cemetery is constantly changing, as the sands around it shift to reveal or conceal more of the old stone. Not much is actually known about Sathmahal Prasada. The seven stories of the stepped pyramid are thought to have been built sometime between the 11th and 13th centuries. Most scholars believe it to be a Buddhist stupa, but in truth there is nothing else quite like it in the whole country. It is the only stepped pyramid in Sri Lanka, and actually most closely resembles Mayan architecture and that of a temple in Cambodia. But whatever it is, there is no doubt that this seven-storied palace of Sri Lanka is a truly beautiful sight for visitors. Sigiriya, which translates to “Lion Mountain”, is an ancient fortress built by a Sri Lankan king during the 5th century, who built a palace on top of a tall, dramatic mountain plateau to hide from attack. Surrounded by the remnants of ancient gardens and landscaped grounds, Sigiriya is home to some of the oldest cultivated gardens in the world, and the surviving works of art in Sigiriya, which consist of paintings, frescoes, and statues, are priceless and unique examples of early Sri Lankan art. Visitors can enter into the mouth of a giant stone lion to climb the famous winding Lion Staircase to reach the gardens at the mountain’s summit. During the 14th century, a monk found Adam’s Peak, a 7,359-foot-tall mountain in the heart of Sri Lanka. At the top, with its beautiful views in all directions of the surrounding land and sea, the monk declared that he could practically see paradise itself, and for centuries, Adam’s Peak was believed to be the location of the Garden of Eden itself. At its summit, there is a depression in the rock that is shaped like a footprint. Christians claimed that this was the footprint of Adam, and Buddhists claim that the footprint is the Buddha’s, and call it the Sri Pada. Hikers and pilgrims can decide for themselves what it is when they hike this peak and see the gorgeous views it has to offer. Traditional dances and performances, like the devil dance, Kolam, and Nadagam, were once very common in traditional Sri Lankan culture, and performers and participants of these rituals wore masks or used puppets. 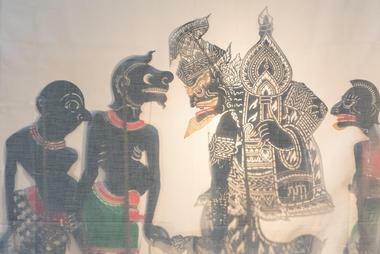 At the Traditional Puppet Art Museum in Colombo, visitors will learn about the uses for these puppets and see many examples of the wooden puppets that are typical of Sri Lankan culture. They can even see a puppet show, performed with musical instruments, or attend a lecture or seminar on the creation of puppets and their uses in performance. This museum is a great destination for families or for anyone interested in the arts. Udawalawe National Park was established in 1972 as a sanctuary for the vast numbers of wild animals that were being displaced due to human expansion and construction of the nearby Udawalawe Reservoir. Today, it is an excellent destination for visitors who wish to see water buffalo, mongooses, macaques and, of course, elephants. Nearly 250 Asian elephants call Udawalawe National Park their home and visitors to the park can often see them in the grasslands or bathing in watering holes. The park is also home to the Elephant Transit Home, a rehabilitation and conservation center where young orphaned elephants are cared for and protected until their release back into the wild. 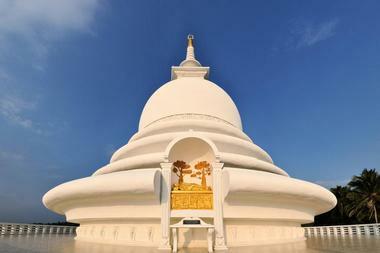 The pure white dome of this temple, located in Unawatuna, is like a beacon that rises from the green jungle that surrounds it. The Peace Pagoda, which was built by Sri Lankan and Japanese Buddhist monks, is peaceful and serene, with walking paths for visitors to enjoy as they explore the statues and architecture of the structure. After a short climb of some steps to the deck, visitors will be able to see a spectacular 360-degree view of the area that surrounds the pagoda: the leafy green jungle, and the stunning blue waters of the bay. 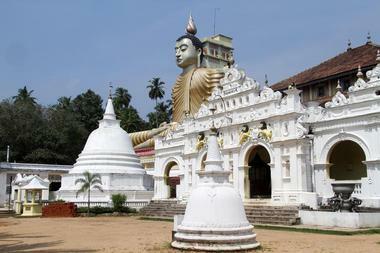 Wewurukannala Vihara is a massive Buddhist temple located on the southern coast of Sri Lanka and is famous for the giant statue of the Buddha that is seated there. The 160-foot-tall statue is accessible by a tunnel, one which is aptly known as the Tunnel of Hell. 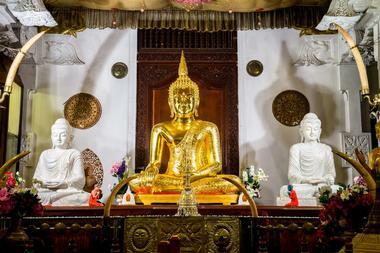 Inside, visitors will see depictions of Buddhist hell – images of pain and torture by dismemberment, being boiled alive, and all the other terrible fates that await Buddhist believers who stray from the path of righteousness. At the end of the tunnel, visitors will find the temple, the Buddha, and all the things that await devout believers of the Buddhist faith. The most popular national park in Sri Lanka, Yala National Park consists of 377 square miles of forests, grasslands, and lagoons. It is split into five sections, and not all of them are open to the public, because Yala is also a huge wildlife sanctuary, renowned for the variety of animals within its bounds. 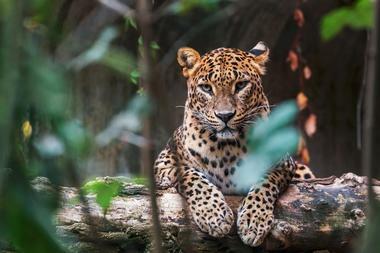 Visitors to Yala National Park may encounter bears, leopards, birds of prey, and elephants, all of which and more make their home in the park. 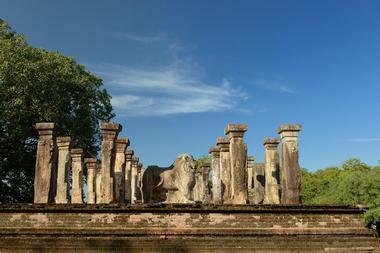 Yala is also the location of several important cultural ruins, which include ancient temples and archeological sites that prove that humans have been active in the area for millennia.